Near Miss: The Attempted Assassination of JFK details an incident in December 1960 while Kennedy was president-elect. Richard Paul Pavlick was stalking the president-elect. Prohibition Lawman: The Amazing Story of Steve Lawson. Published in 2015 and revised and updated in 2017. Lawson is noted in history as being the victim of a cold-blooded killing during prohibition. He was far more than that. Airmail Postal History: A Compilation of Articles: This consists of articles I’ve published in various journals over the last 10 years. It is intended to give interested collectors or historians an overview of airmail postal history. Articles related to American and Canadian airmails operations and stamps. Published in early 2012 as an eBook this is a collection of short stories from my life experiences, birth, school, marriage, kids, divorce, single-again, remarriage and kids again. I`m confident this will bring smiles to the reader. Presently being revised and will be republished in paperback format and likely also as an eBook. The original publisher is now defunct. 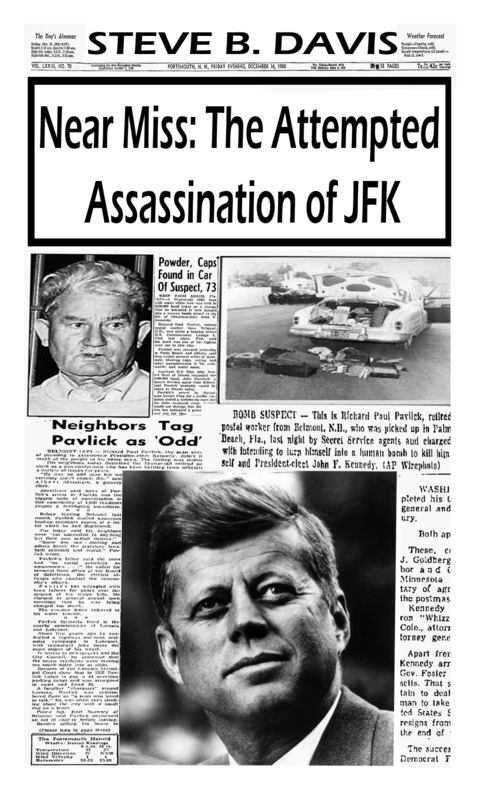 Pavlick left his home in Belmont, New Hampshire after the November 8, 1960 election day with the intent to prevent JFK from ever being inaugurated as president. He visited the same cities Kennedy visited and eventually arrived outside the Kennedy home in West Palm Beach, Florida. There he wired his car and himself with dynamite and ignition switches. His intent was to ram the president’s car and set off an explosion. Pavlick was not known to the Secret Service until the postmaster in Belmont, Thomas Murphy reported suspicious mail he received from Pavlick to his inspectors, they in turn called in the Secret Service. The evening of September 21, 1922 was a fateful one for infamous bootlegger Emperor Pic of the Crowsnest Pass in southern Alberta. Forgotten in the splash of media coverage are the victims, Steve Lawson, and his wife and five young children who witnessed his cold-blooded murder.Read how the inadequate resources of the Provincial Police, and an unenforceable law, prohibition, resulted in Lawson’s death and the lawlessness of the Crowsnest Pass. 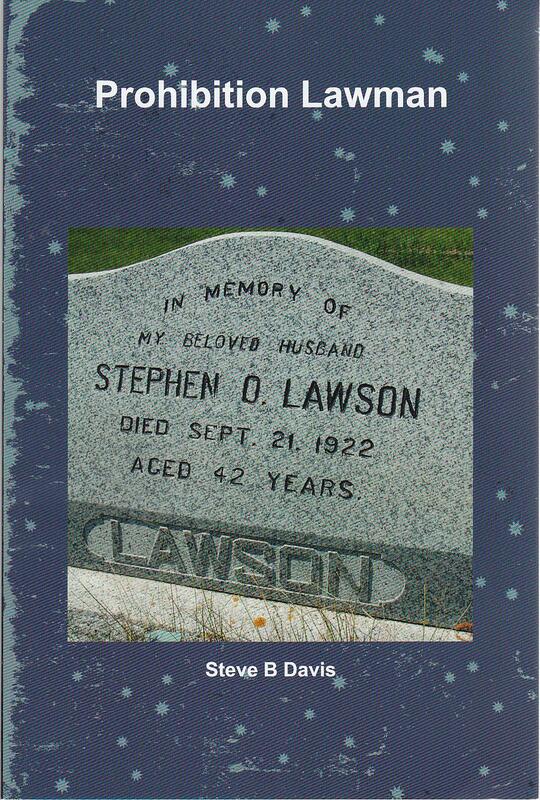 This book is the true story of a war hero and lawman, Steve Lawson, and the impact of his murder on his family and society. It is an untold story that will surprise and touch the reader. Too often crimes and criminals are glamourized at the expense of their victims. This book focuses not on the story of the crime, but on the life of a victim. I`m always getting ideas and writing some short stories and attempting to have them published. I find it challenging, but enjoyable. Here are just some of the stories written or in progress (Fiction and Nonfiction). I’ve been lucky enough to get paid for many of my articles and others well exposure is enough of a payment. The Invisible Immigrants: One Child’s Story (nonfiction) – published in March/April Issue of Saltscapes magazine. This is a mainstream glossy published and distributed in Eastern Canada. Paying market. I retain rights. Seaway Robbery: Story of a bank robbery my father experienced in his first assignment as a bank manager. * Published in The Country Connection 2011. *Feb 10, 2009 accepted for publication in Halloween compilation of horror stories by NVP Publications. No payment, but lots of great exposure and I retain rights. Ambush At Pincher Creek: The Unsolved Sopow/McNab Murders – narrative nonfiction of unsolved murders in southern Alberta. * Published in e-zine Darkest Before the Dawn in 2009. Thanks for the link. It looks interesting. I may just send a proposal to them. Appreciate your interest. I’ll let you know how I make out. Good suggestions. I may just do that to help me document the process. Thanks for the imput. I have a few proposals out for how-to nonfiction and editing a fiction piece. Recently I’ve been contemplating writing a biography or creating a documentary. One who or what, I don’t know. But I’d be interested to learn more about how you chose your topic, your research process, and your submission process. Maybe these could be ideas for blog posts? No not lately. Did get another letter from Secret Service that they are reviewing the files prior to releasing them to me under FIA. Also I have been doing some rewriting and editing. AbsoluteWrite and other sites have “bewares” and lists of agencies and publishers with complaints against them. Good resources for scams such as this one. I might just do a post on them. Sounds interesting — and I’m glad you caught on to the “agency” before you got sucked in. Thanks David. The book you mention is on my to read list. I too have read virtually everything on JFK. An interesting subject for a book, Steve. I’m surprised something on this hasn’t come out somewhere before. I’ve read everything I can find and afford on the JFK assassination, and other events in his life. I recently finished The Dark Side Of Camelot by Seymour Hercsh, which was a fascinating read. Good luck on the book project. I would recommend reading “Brothers” a book about the relationship between JFK and his brother Robert before and during his presidency. Fascinating history. I posted a review here sometime ago. A customer already. LOL. Glad that it piqued your interest. Thanks for reading and the comment. This is fascinating. I’m definately interested in reading the book.